The Orangutan Conservancy has chosen OIC’s Human Orangutan Conflict Response Unit (HOCRU) for our focus of funding. HOCRU’s main tasks are to investigate and conduct mitigation of conflict incidents in agricultural areas prone to crop-raiding by orangutans; conduct regular field monitoring of known isolated populations of orangutans; data collection and mapping of forest-adjacent villages to gain understanding of crop raiding species; and to socialize mitigation methods to communities currently experiencing HOC problems in order to prevent conflict incidents such as killings of orangutans, poaching, pet trade and illegal keeping. 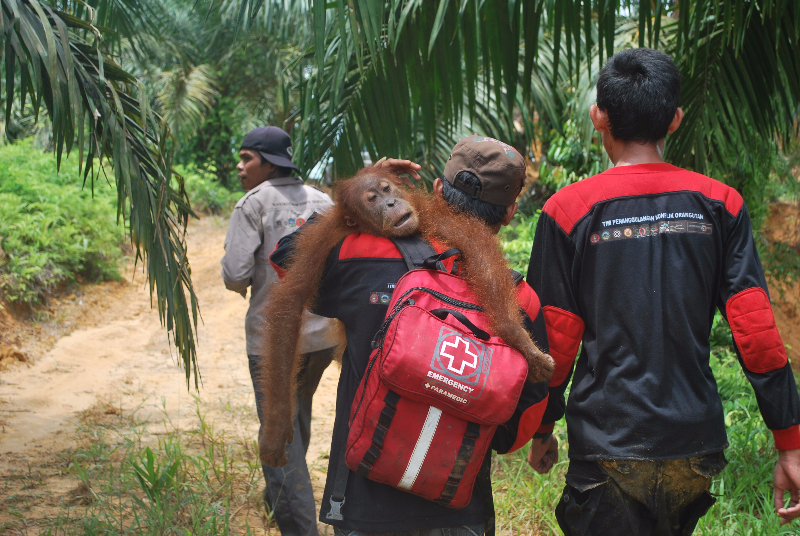 HOCRU’s work in the community often leads to rescue and translocation of orangutans in conflict. 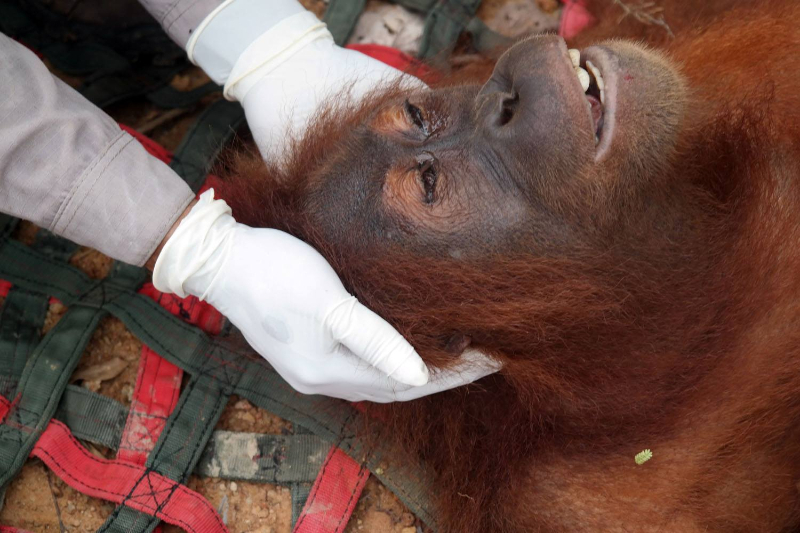 The high frequency of orangutan rescue, translocation operations and confiscations of illegally-held captive orangutans by the HOCRU team over recent years confirms that human-orangutan conflict is an ongoing problem in and around the Leuser Ecosystem, exacerbated by destruction of orangutan habitat mainly for plantation development. In 2015, the team rescued 29 orangutans: 16 females and 13 males, with 19 orangutans evacuated from plantations and farmlands and 10 confiscated from the illegal pet trade. Please read much more about the work of The Orangutan Information Centre here. Join us in helping this wonderful group to continue their work.